Should you use a Laser Rangefinder for Hunting? →Should you use a Laser Rangefinder for Hunting? Laser rangefinders work by sending a laser beam out to an object and reflecting that laser back to the rangefinder. The amount of time it takes the laser to reach back to the rangefinder is calculated to determine the distance. Most laser rangefinders that can be found today will fit in the palm of your hand. They are not bulky or heavy. They can allow you to evaluate the distance between objects in your surrounding area quickly and can greatly increase your accuracy when taking shots. Click here now for the lowest price of the ﻿Nikon ﻿﻿ACULON AL11 ﻿﻿on Amazon! When it comes to the use of laser rangefinders, you’ll find people who are adamantly opposed to them and people who are all for them. There are reasons that using a laser rangefinder can help you on a hunt and there are also ways that they can hinder your ability to be successful. Let’s take a look at both. How Can Laser Rangefinders Help? Laser rangefinders can be extremely useful in targeting true distance. What is the true distance? True distance has to do with shooting at extreme angles. 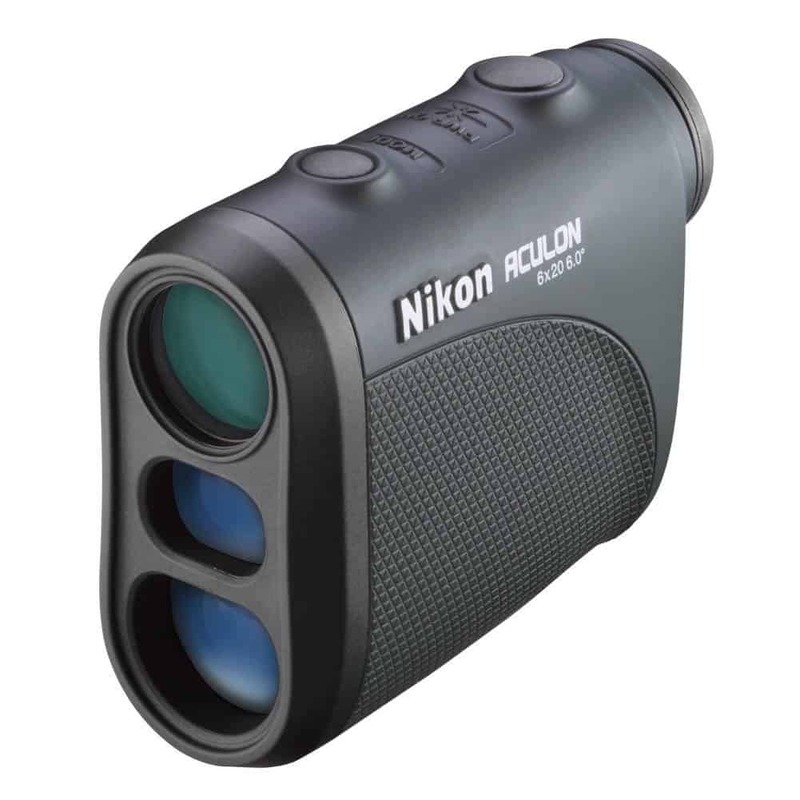 To know what the distance is you have to have a laser rangefinder with angle rangefinder compensation (ARC). For example, hunting deer from a tree stand and the deer is at 23 yards (line of sight) and your tree stand 24 feet high your shooting distance is actually 21 yards. Knowing this distance can make a difference between a kill shot and a miss. Or a kill shot and a marginal one. The true distance is at shorter distances only important if you hunt with an arrow. For a rifle shooter it won't really make a difference except when you're looking at very long distances of several hundred yards! People who are in long open spaces with minimal markers for a range may need a rangefinder once a target comes into sight. These can help you hit the target with a calculated distance. You can use a rangefinder to become better at judging distance. If you know that judging yardage is a personal weakness in your shooting, then you should consider buying a rangefinder. This is not to become dependent on the device, but to teach you how to judge yardage. Once you get used to seeing how far something is at 200 m or 300 m, you will be more easily able to judge that distance. You can slowly teach yourself how to judge these distances with the rangefinder and then wean yourself off if you choose not to use it in the future. 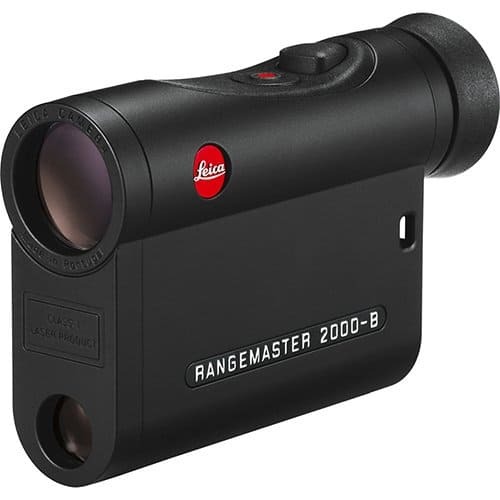 Click here now for the lowest price of the ﻿Leica Rangemaster CRF 2000-B ﻿on Amazon! There are several methods hunters use when first starting out with rangefinders. One popular method is to range all the surroundings at the start of the hunt. This allows a hunter to get set up and range the terrain in the downtime. Once you know your 20, 30, 40, or 50-yard mark you can easily set down your rangefinder and wait for your target to come to the site of those ranges. If you make a good mental yardage map, once an animal is in sight, you won’t need to touch your rangefinder again. Why would that matter? Well during different stages of a rut, when the deer are moving pretty fast, you are going to want to be able to take your shot quickly. Ranging an approaching animal takes more skill than ranging your surroundings. When ranging moving animals, you have to have precise movements so that the animal does not detect you. Once you spot your deer, you need to be able to predict the path that the deer is moving. Range the target and replace the rangefinder in your pocket. If the deer stay on course, you can take a shot. But if the deer moves or veers off course, you’re going to have to re-check the range. Especially if you haven’t practiced measuring ranges by eyesight before. One of the easiest ways to make sure you have the best use of your rangefinder is to make yardage marks on the surrounding trees. This is especially useful when hunting from a tree stand or blind. You’re going to want to make sure you have permission to mark the trees, but once you’re set up, you can measure from your hunting position and mark each tree with the yardage. It’s especially important if you’re hunting from a tree stand that you have ARC for your rangefinder. This will make the corrections in the distance calculations for you to be able to accurately mark your trees. If you don’t have ARC, your calculations will be off and that could mean you're missing easy shots. 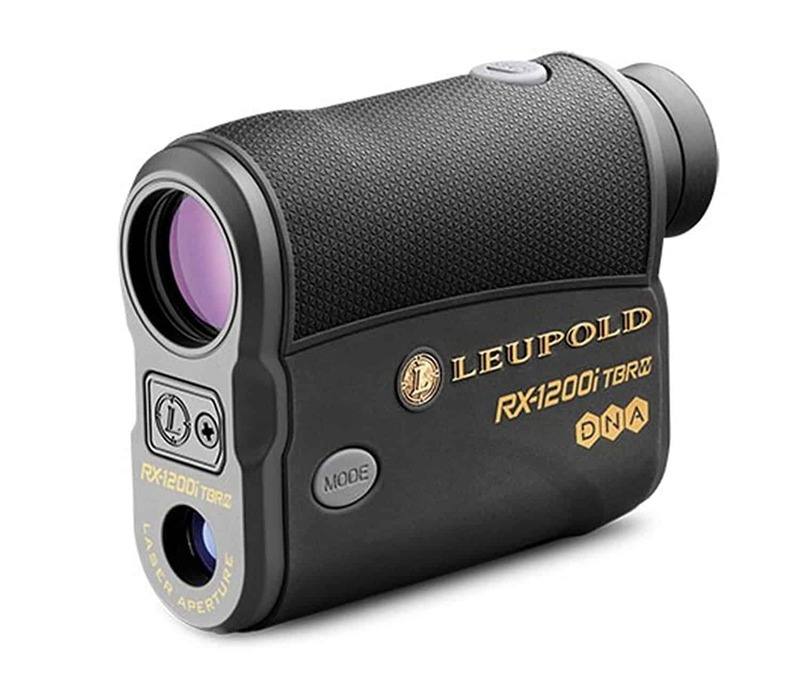 Click here now for the lowest price of the ﻿L﻿eupold﻿ RX-1200i TBR/W﻿ on Amazon! Rangefinders will not make you a quicker shot. Many times, people fail to do their range checks before setting up and will only range when an animal comes on the site. Often hunters say their biggest regrets using rangefinders is that they miss split-second shots by ranging a target rather than firing at it. Don’t let the rangefinder take over your ability to estimate ranges. That would be a devastating blow to your skills as a hunter.